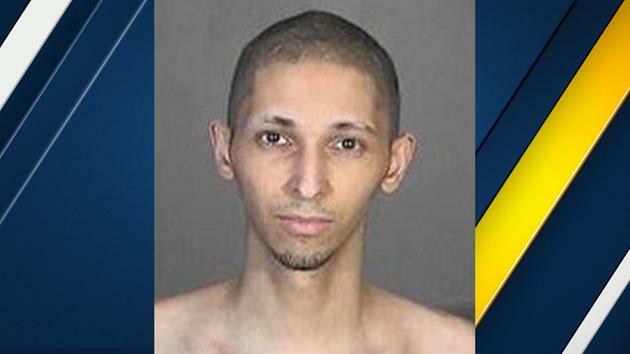 Authorities arrested a man in South Los Angeles in connection to a swatting incident that led to a Kansas man's death. Tyler Barriss, 25, was arrested Friday on suspicion of making a hoax phone call to police in Wichita, Kansas. Authorities in Wichita said someone made a prank call to 911 with a made-up story about a shooting and kidnapping. That call resulted in the death of an innocent man relatives identified as Andrew Finch, 28. The hoax phone call was a case of swatting, authorities said, in which a person creates a false story to get a SWAT response to an address. Authorities released the 911 recording in which a man said his father had been shot in the head. The caller said the man was holding him, his mother and a sibling at gunpoint and that that man threatened to light the house on fire. When police headed to the home, they surrounded it and prepared to deal with a hostage situation. Finch answered the door and followed instructions to put up his hands and move slowly. But at some point, authorities said he moved toward his waistband and officers fired a single shot in fear Finch may have reached for a gun. Authorities said Finch died at the hospital and that he was unarmed. The police and FBI were investigating whether the hoax call stemmed from an argument over an online game. In October 2015, Glendale police arrested a 22-year-old man with the same name for making bomb threats to KABC-TV. He was charged with two felony counts of a false report of a bomb to an agency of business and one felony count of criminal threats. Tyler Raj Barriss, of Glendale, is shown in a mugshot when he was arrested in October 2015 for making a false bomb threat to KABC-TV. Police in Kansas shot-and-killed an innocent 28-year-old man after he was the victim of a swatting prank. The victim has been named locally in Wichita as Andrew Finch. The Wichita Eagle reports that the city’s SWAT team was called to Finch’s home on the evening of December 28 after getting a report that a man had killed his father and was holding other family members as hostages. Finch answered the door to responding officers. The Eagle reports that Finch was shot dead by a seven year veteran of the city’s police force. Wichita deputy police chief Troy Livingstone has confirmed to the media that the case is being investigated as a case of swatting. A common prank where someone performs a crank 911 call to try and draw a SWAT team to a residence or person. Social media chatter has strongly indicated that the swatting was over a Call of Duty game gone wrong. The game was the subject of a $1.50 bet. A Los Angeles man was sentenced Friday to 20 years in prison for making bogus emergency calls to authorities across the U.S., including one that led police to fatally shoot a Kansas man following a dispute between two online players over $1.50 bet in the “Call of Duty: WWII” video game.